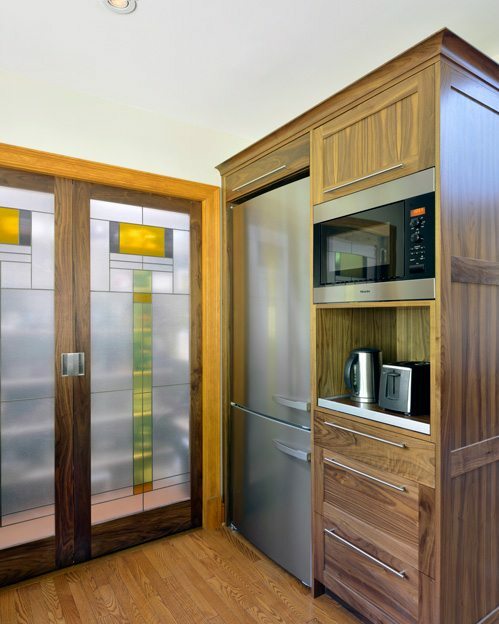 When Paul Denys was called in to consult with Barbara Steele of Place ID on this project, he was met with a somewhat tired kitchen that hailed from the 1980s. 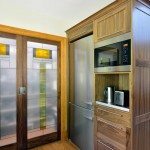 Housed in an addition to a 100-year-old home, the room had been closed off from the rest of the house before walls were removed in the 1990s to open up the space. But even as part of the main house, the kitchen, which had just one 2-by-3-foot window over the sink, seemed dreary. 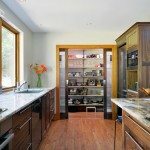 The owner of Denys Builds Designs worked with Steele to design a brighter space, proposing a pantry that would emit light throughout the day courtesy of innovative Solatube lights. 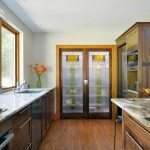 In this modest space, the pantry is ingeniously designed, with synchronized sliding pocket doors (slide one, and the other automatically glides open at the same time) and row upon row of shelving. 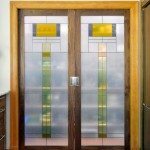 Those stained-glass doors act as an art piece while, at the same time, concealing any clutter and allowing light to flow through to the main room. 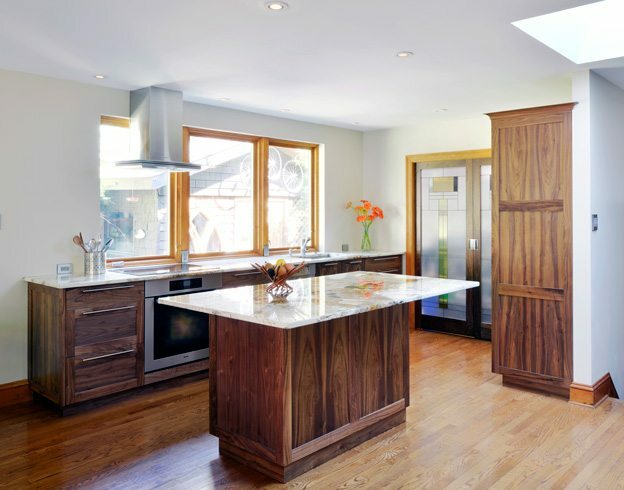 Another efficient element is the recessed shelf housed in the bank of cabinets beside the island. 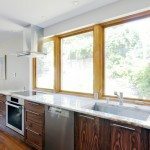 Not only does it boast electrical outlets, but the white shelf slides out to allow the owners to work in the open. 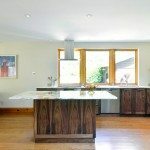 The rich bookmatched black walnut cabinetry was paired with granite counters, the dynamic pattern chosen by the homeowner, a geologist by training. It all makes for a kitchen that radiates both warmth and whimsy.